According to the MayoClinic.com website, edema is “swelling caused by excess fluid trapped in the body’s tissues.” This type of swelling can be caused by sitting in one position for too long, having high salt content in your diet, pregnancy or as a side effect medications or surgery. 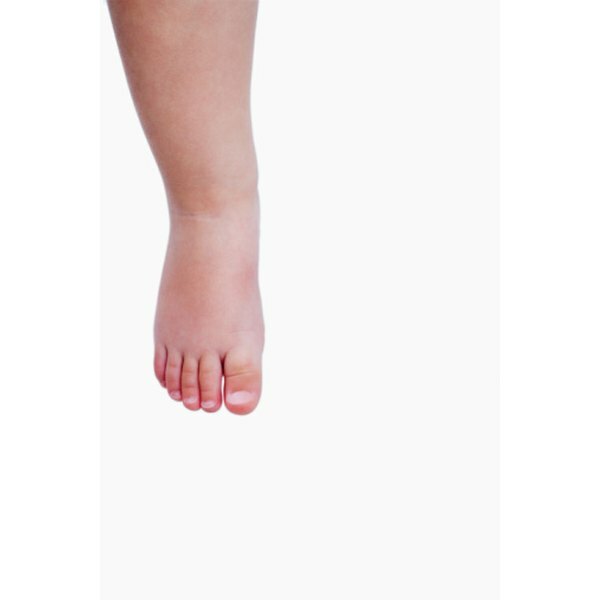 While changes in diet and taking diuretic medication can reduce edema in your legs, various exercises can also diminish your fluid retention. Consult your doctor if you have any concerns about the the swelling in your legs and to see which exercises are best for you. There are many different types of exercises you can engage in to reduce edema in your legs depending on your fitness level and how much soreness you are experiencing. Basic exercises include elevated leg kicks, pumping your feet like you are pedaling a bicycle and standing on your toes. If you are more physically active, using light weights and having a regular walking routine can help disperse the fluid trapped in your legs. Some leg edema exercises require you to lie on your back and rest your feet on a stack of pillows to keep them elevated throughout the routine. The pillows should be placed under your ankles and not under your knees. You then lift one or both of your legs and perform the exercises recommended by your doctor. Keeping your leg elevated throughout the exercise is one way to move the fluid in your legs back toward your heart. You can perform some of the exercises while sitting in a chair as well. According the Ohio State University Medical Center, you should engage in some type of light exercise every waking hour to alleviate your leg edema. Perform the amount of exercise you are comfortable with, and do it regularly. Further, elevate your feet three or four times a day for at least 30 minutes per session. Exercise alone may not be enough to treat your leg edema. Couple your regular exercise routine with 15 to 20 minutes of massaging per leg. The person massaging your legs should always push the fluid toward your heart. You may also wear compression stockings or use ice packs to cut down on the swelling. Reducing the salt in your diet may also help to cut down on your body’s water retention. Leg edema is common in the elderly, and one study carried out at the Cleveland Clinic Florida in Fort Lauderdale between 1990 and 1992 asked 245 patients were asked to engage in three 20-minute sessions of raised leg exercises a day to reduce their edema. Fifty-seven patients did not engage in the exercise routine regularly, thus creating a chance for the researchers to compare exercising patients to non-exercising patients. The researchers found that after a four-week period both the exercising and non-exercising group showed a reduction in their edema. This data may suggest that exercise may not be more beneficial than other treatments for leg edema. Experiment to see what works best for you.